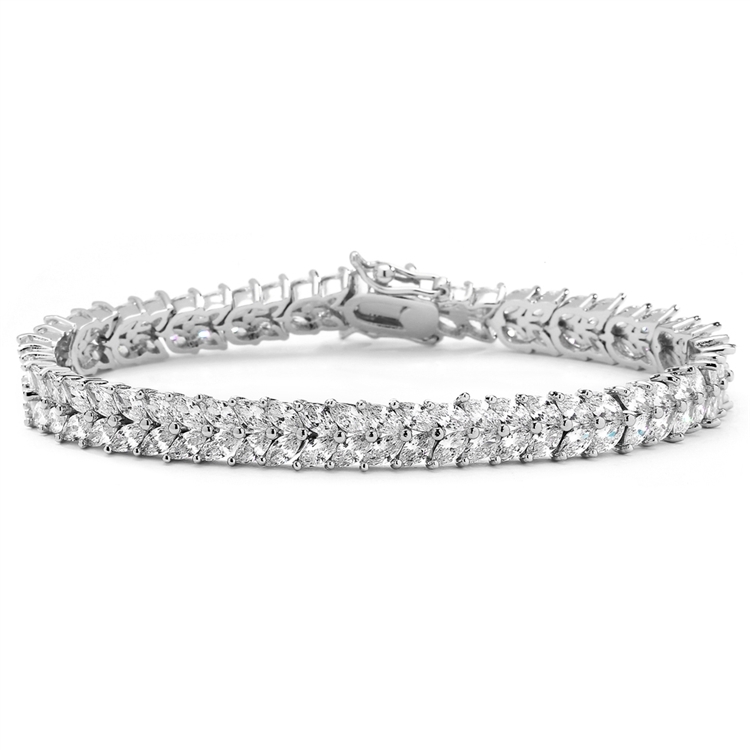 Made with top-quality marquis-cut CZ and plated in genuine silver rhodium, this elegant bridal or prom bracelet has the look of real platinum and diamond jewelry. At 7" long and 1/4" w, this beautiful two-row tennis bracelet will add true style and glamour to any wedding day! Made with AAA quality CZ and plated in genuine silver rhodium, this lovely marquis tennis bracelet packs a lot of sparkle in its deceptively simple design. If you want to give your customers the elegance of platinum and diamond jewelry at an affordable price, order this wholesale bracelet today!